The Best Way to Start and Grow Seedlings for Aquaponics is simple when you know how. I will be sharing with you some of the best ways that I have been taught. I have tried them all, and they work. The best way to start and grow seedlings for aquaponics is based upon your personal likes. You can work real hard at growing with an aquaponics system or you can make it easy. I choose the easy, successful way that works for me as well as the people that I trust as mentors. The best way to Start and grow seedlings for aquaponics is found below. Pick the one that you will enjoy the most and get the best results. 2. Throwing the seeds (broadcasting like lots of gardeners and some farms still do). You toss the seeds as evenly as you can over the growing surface, then keeping the medium wet. But do not drown them in too much water. Works well for carrots, Radishes and lettuce. 3. Use a “Starting Media Pot or Incubator”. A. Peat Sponges are small containers or media that use peat and other bio-materials that promote growth, you usually do not have to worry about pH, but they have been know to also produce gnats from the fungus among us. An they can be expensive. Compost piles and lots of worms. It is less expensive, and it is easy to work with. C. Rockwool. This is an inexpensive way to start seeds for aquaponics or hydroponics. The biggest advantage of this media is the lack of mungus or insects that may be hiding inside of the media. The bad part, some people say, is that you have to keep the pH Balanced and they do not like working with spun rock. I like it, just because I have better success with it. 4. Now this is one of the easiest ways to start plants, if you have access. Cuttings. If you already have plants,the cuttings do well in aquaponics systems. The roots take well, especially peppers and other night shade plants. C. Wash the plant gently off to remove as much dirt as you can from the roots. E. Dip and swish the roots in a solution like Roots Accelerator or Rapid Start. I had used this method in 1981 with some success. I was pretty lucky. 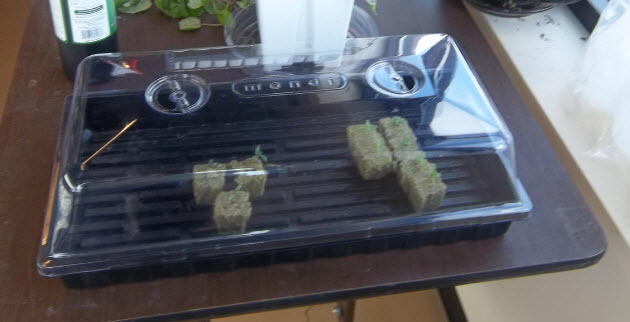 Johnathon Wood from Majestichydrogardening.com shared that this type of starting your plants for aquaponics systems can have quite a few problems that may endanger your plants and your fish. I invite you to contact Johnathon for his expert advice if you choose to try using starts. Check out his comments in the comment section! There are other solutions that different growers use, but these are the ones that I know of that work. I depend upon other experts and mentors advice also. The one thing that I know about is that growing is a lesson in experimentation and building upon failures and successes.. Join a group of friends and mentors who know more than yourself. I constantly ask questions, then try it out. I want to invite you to be included in our newsletter to learn more from us and the experts that we learn from. Real world experience and decades of trial and success. Hydroponics, is it the answer to thriving during drought? Many farmers say yes. Here in Colorado, as well as Texas and other states we have gone through a long drought. I had the opportunity to speak with Johnathon Wood from Majestic Hydrogardening this last weekend. Johnathon has been involved with hydroponics since the 1970’s. He started his first garden when he was just 8 years old and has passion for growing food. He also enjoys growing other plants as well. He has seen the need for change in the United States. More people are growing their own food. Concerns about GMO (Genetically Modified Organism) is becoming a major concern. GMO foods put our health as risk. Even Mother Earth News has started sharing information on hydroponics. Johnathan started with Hydroponics when the first Space Station was experimenting with growing food in space. NASA chose hydroponics as the best solution. So what better place to start than following the NEW space age technology? Hemp is still used today, and Virginia is looking to legalize it once again for the fibers and food value. The US Government completed a study on how to make the other types of cannabis (what most people call marijuana) more potent. They also studied its health effects. That type of marijuana is now legal in Colorado and Washington States. Jonathan has a passion to get people growing! Lettuce, Tomatoes, spinach or anything that will help them become self-sufficient. Health comes from healthy nutrition, he shared. 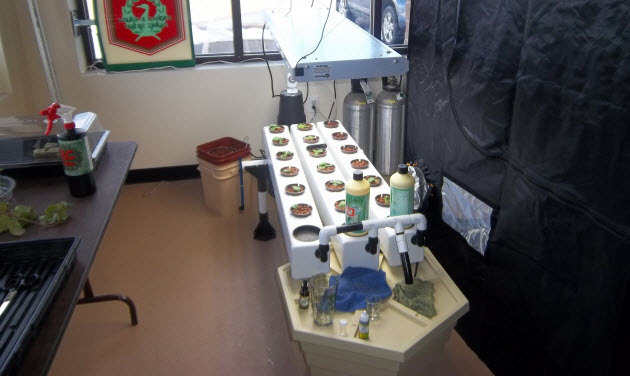 It is easy to get caught up in his passion for growing food and herbs using hydroponics when you talk to him. Johnathon is going to start to teaching hydroponics soon. His will also be teaching Botany and other tips and tricks needed to be successful growing food and plants indoors and out. Hydroponics is water conservation at its best. As I shared before, water has become a very sacred commodity. Cities, states and the federal government is doing whatever it can to control our water. Rain water, wetlands, even small lakes are being claimed by different governmental agencies. In some states it is illegal to catch rain water for your own use. Even if it falls onto your own property. Johnathon Wood has a website: http://www.Majestichydrogardening.com is where you can see his videos and tips and tricks. He also has products that you can purchase to make your hydroponic food crops flourish and remain clean and safe for consumption. We will be releasing videos of our conversation. These videos will tell when his classes are available. In addition Johnathon will be writing more books and reports as well. These will be available soon to feed your passion and desire to grow indoors as well as outdoors. Johnathon is an expert in all aspects of growing and sustainability. We will be sharing more information with you in the coming Growing Newsletter. We will be sharing the videos of Johnathon in our newsletter members area. P.S. Our next newsletter will be sharing information about Fodder Tech. This is a high-tech hydroponic growing company that is revolutionizing the feed for farmers and rancher who raise animals for sale. Lower cost, Lower workload and happier animals who produce more. Posted 10:59 am by Chris & filed under Organic Gardening. He has changed his life dream from becoming a professional football player to being an Organic Farmer. I highly recommend that you watch this YouTube video from this 11-year-old boy. You can hear the passion in his voice. He has talked to old Organic farmers and he was impressed with the knowledge he received. For myself, there is no other way to grow and eat healthy now, other than organically. I am blessed every day that I wake up. Growing food organically has brought a flock of neighborhood kids to our home to “See” what the heck this “Garden” thing is. Most of them had never seen a garden before. Sure they had heard about them, but few have ever eaten food right off of the plant. You have in your minds and hearts to take care of others and Your homes. You want the best for your children, parents as well as your friends and neighbors. This is an abundant world that we live in. You have the knowledge and desire to share with others, or at least take care of those that are close to you and yourself. After surviving a few heart attacks, I was told to get my affairs in order. But I decided to live. I have never done anything completely on my own. I have traded for material, bought land, purchased equipment, seeds and compost. I have good friends Robert and Terri TallTree who are my mentors. They have helped me to change my life so that I know that I can live an abundant life. They helped me to get rid of my doubting thoughts. Thinking the right thoughts and Their help has made a huge difference in my life. When I was younger, I learned from the horses that I trained that I couldn’t be inpatient. I needed to relearn that now that I am older. That is what I love about organic farming and gardening. It is a peaceful and healthy lifestyle. Your family wins, you win, and your pocket-book wins. I want to share just one little tip that I have learned by taking the miracle mindshift training from my mentors: I choose to have faith that yes, I can continue to get better. Doubt sees tribulations, problems, troubles, difficulties and obstacles. Faith sees anticipation, trust, confidence, hope, expectation and a way. Doubt sees gloom, doom, thunder, lightning and the darkest day. Faith sees light, sunshine, radiance, beauty and life abounding. Doubt causes terror, fear, worry, apprehension and ultimate calamity. Faith soars with opportunity, occasion, freedom and peaceful grace. Faith answers existence, being, time and living life as God has created us to! I recommend that you fill your body with good fuel. Healthy Organic Locally grown food. I also recommend that you feed your mind with the right thoughts. The Miracle Mindshift Month has helped me, and continues to help me stay focused on what my dream is. Go here: www.hisfarm.org/miracle and experience for yourself the life that you dreamed of. Posted 10:48 am by Chris & filed under In the News. The commercial: God Made a Farmer speaks of many things that a Farmer is and does. A farmer grows food, works long hours and puts in more hours in the first 3 days of the week than most people do all week-long. And that includes if they work during the weekend. Although it did not share the joy and excitement of getting up early in the morning, eager to see his friends and feed them. I am talking about the horses, cows, goats, rabbits, chickens, sheep, and a list of other animals that the farmer takes care of and nurtures. But do not forget the Dogs who accompany them or the cats that keep the barn and outbuildings free of rodents. The wild birds that clean up the excess feed that spill or are left over from feeding. Not even the field mice that help clean up bits and pieces as they scamper about and live their lives on the farm. 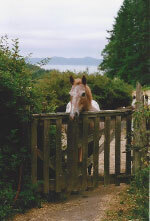 When I managed a Thoroughbred breeding farm, I had this one horse named Oh My Gawd! If I wasn’t up early enough for him, he would make sure that I got up. His field was right next to my house. As a matter of fact, it was close enough to him to kick dirt from the field and hit the side of my bedroom wall. He would call out to me and then run around to make sure that I could hear him. When I was up and outside, he would come over to the fence, say hello, get his morning greeting from me, then prance around waiting for his breakfast. I loved every morning that I got up to such a greeting! It is the times of pure joy and shared love with the animals that is one of the best rewards. When I see an eagle or a hawk flying overhead looking for a meal, or a blue Heron standing in the pond leisurely eating their meal. Yes, there is a lot of work to being a farmer. Irrigation pipe for feed crops, mowing, health care for all of the animals and equipment maintenance. Buildings to take care of as well as relationships with other farmers, friends that love to visit because of the peace that comes from sitting on the front porch and seeing what God has made. For me, every time I see a horse or other animals that are healthy and happy, I know that they are being taken care of by a Farmer. One of the best compliments that I have ever been given, was by our local Veterinarian. He introduced me to a new vet intern as “The Herdsman” of the ranch. It was an honor to be called that by this Veterinarian, for he has seen the way I love and care for all of my animals. Humans included. What is it that gives you your enthusiasm and joy of being a farmer or caretaker? Share your story, It frees your soul and brings joy and hope to others when they can understand what it is that drives our desire to help! For me, it is the relationship with the animals, human and otherwise, that has taught me that yes, God has made us all. I am always happy to be called a farmer. It is a great compliment in my life to know that I am a caretaker. Have a great day! Remember, you do not need a sports event to create A Super Bowl! Posted 1:22 pm by Chris & filed under Organic Gardening. What do you think about the Dandelion? Is it just compost or is it a herb or vegetable that can be profitable? If you are looking to have the perfect golf course style lawn, it is a weed. Poisons, pulling, burning or whatever means that you can find to get rid of this pesty plant do not always succeed. If you are looking for a profitable plant that has many great uses, the Dandelion is a plant for you. What is it good for? Excellent source of Vitamin B, C and E.
Benefits the function of the liver. It is also known in some cultures as a valuable survival food. It contains all of the nutritive salts that are required to the body to purify your blood. The Juice of the broken stem is applied to warts, then allowed to dry. If you use it daily for two or three days, it will dry the warts up. It is also used in the same way for corns, acne and blisters. A diet with dandelion is also been connected to improving the enamel of the teeth. I can tell you from personal experience that the greens taste great in a salad. If you want to eat it like spinach, boil it twice, changing the water each time that you do to get rid of a bitter taste that happens when you boil the greens. You can use the Roots, Leaves and the flowers. The flowers are not only a great gift from a young child in the form of a bouqet, but as I can attest a good wine. Dandelions have been around for a long time. If you want to improve your health, increase profit and help other improve their health, become a user of Dandelions. Make a plan, pre-sell this herb and increase your profit. Dandelions are no longer just a pesky weed destined to become part of the compost heap. 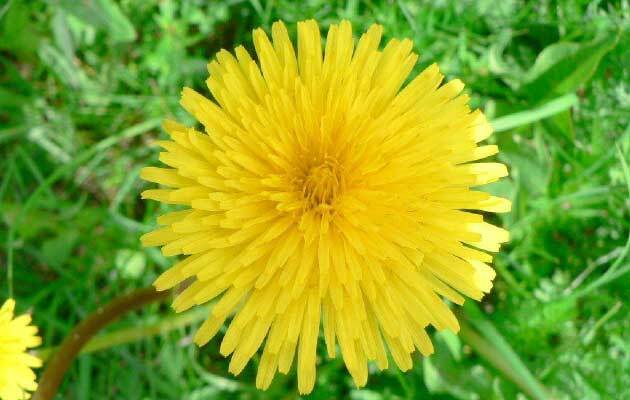 Read more about dandelions and other herbs by adding us to your RSS feed. Posted 3:35 pm by Chris & filed under Organic Gardening. Garlic is a relatively easy and profitable plant to grow. With Garlic you can create up to $40,000 per year on a ½ acre plot of ground with good soil and farming practices. Possibly even more when using organic certification. As a local grocer in a very rural area, we would purchase garlic from the local small farms. Garlic is sold at the rate of over 300 million tons per year. Those are the statistics from last year. Garlic is second only to pepper in the spices section as of my last research. It is not a get rich quick crop, but with care and nurturing, you can make a good living. Hard-neck garlic bulbs usually have a larger clove and are easier to peel. Soft-neck garlic varieties have been cultivated by growers over the centuries from the original hard-neck bulbs. To date, there are over 600 varieties of soft-neck garlic identified and grown. Carpathian: A heirloom Polish variety. Spanish Roja: Heirloom that produces very large bulbs. German Extra-Hardy: Mild, excellent flavor. Georgian Crystal: Nice mild flavor. Siberian: Mild flavor, good to grow even the coldest climates. Heirloom variety. Chesnok Red: A gourmet garlic. There is also Elephant Garlic, but it is more closely related to the leek family. It does not last as long as other garlic, and is not as tasty. You will want to choose a tasty garlic to sell for profit. Start a CSA (community supported agriculture) service and pre-sell your garlic. If the soil is too wet, the garlic will not thrive. Prepare your soil ahead of planting time, up to a year in advance. Remain patient and make wise choices with your garlic crop. After harvesting your garlic and before going to market, you will want to make sure that you have an appropriate storage space. Armstrong Steel helps design and create custom steel buildings that are great for storing not only your harvest, but also your farming equipment. Now just sell your garlic to restaurants, stores, vendors or to a community of hungry garlic users who want your product!! After you have made all of that money, all you have to do is prepare the soil with organic fertilizer, materials and replant again in the fall.